Kia Ora, and a warm welcome to New Zealand Shores! New Zealand is an outstanding lifestyle destination, and we are here to make it happen for you. We take care of one of the biggest stresses of achieving your goal – the New Zealand immigration process. Our dedicated team of licensed immigration advisers knows and understands that every person or every family has individual situations, and so our focus is on you and your family as individuals. 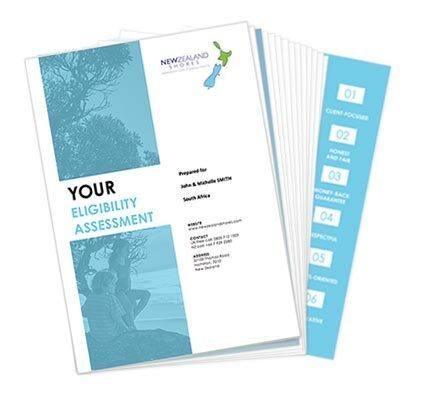 Take our free assessment to find the best pathway for you to immigrate to New Zealand. What is your capital available for investment? When did you first start your relationship? When did you first start living together? What is your main purpose for visiting New Zealand? Because our focus is on you and your family as individuals, you will be assigned a personal Licensed Adviser that will guide you throughout the way to reach your migration goals. Going through the migration process engaging in the services of a licensed immigration advisor will increase your chances by creating a clear and individualized path through the many New Zealand immigration policies. Working with NZ Shores was incredible, nothing was too much, every question, every worry and concern was answered to make the move from UK possible. Sarah was unbelievable and beyond helpful, our ‘live the dream’ was made reality because of how Sarah and NZ worked and advised us.